I came back to my world that I had left on a wolfling run overnight, and found that, unfortunately, all the norns had passed away. 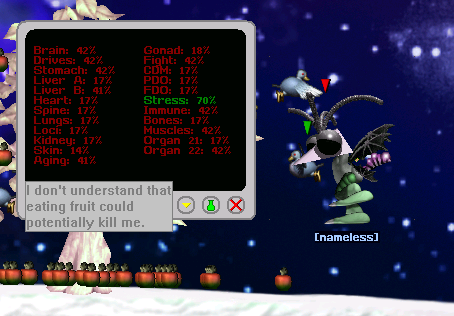 What I found rather amusing, however, is how the last death listed was a norn named "Worthless Existence" by Protective Tub, and judging how he was presumably the last to die, his name must have been rather fitting indeed! 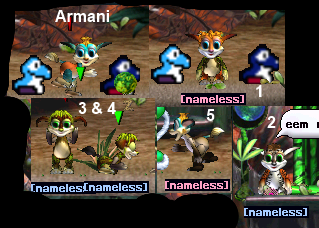 A labelled collage of all of the offspring from Part 2 of the Norngarden 1 + 4 & Xmas Wolfling run, including Armani. I tried my hand at Uncyclopedia. It got deleted. Oh well I tried. Major just can't get a break today, can he? 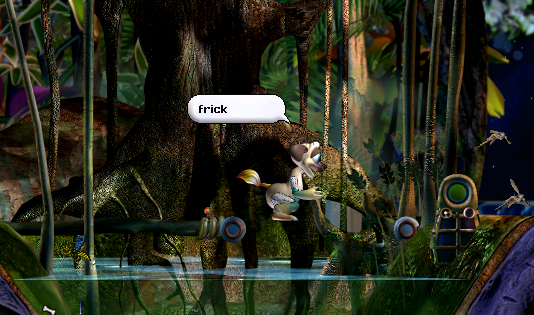 While trying to figure out how the Pick-Up agents in Creatures 3 work I noticed that there were some unused sprites and variables in the games' files. So, curious as I were, I added in an extra Pick-Up using one of the unused sprites and an unused variable ( , and this was the result. 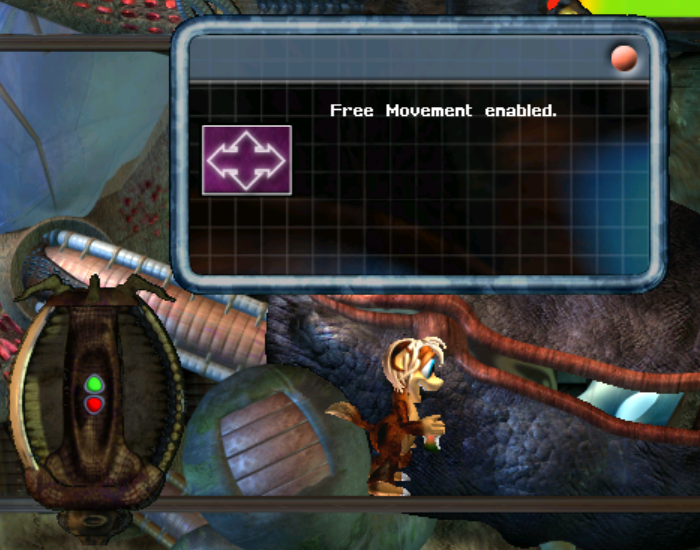 I really wonder what unlocking "Free Movement" was intended for in Creatures 3. 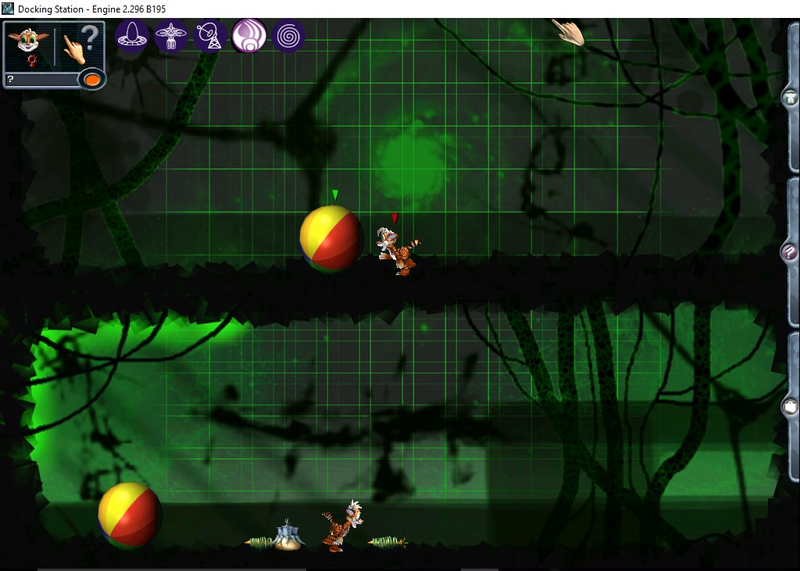 Perhaps originally, the player had to unlock the ability to drag Norns to places? ...When they're sleeping and not bullying Norns, that is. 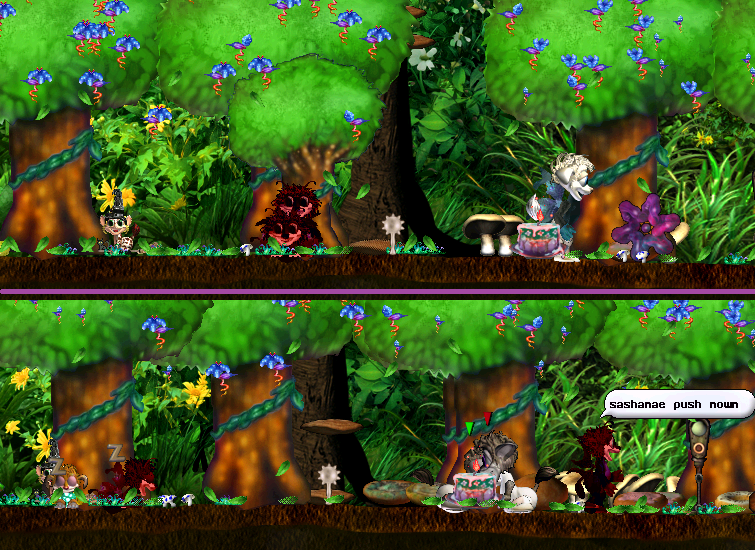 Here we have Fantastic Steel (ChiChi, male) and Moon Iron (Felinorn's Secret Norn, female). 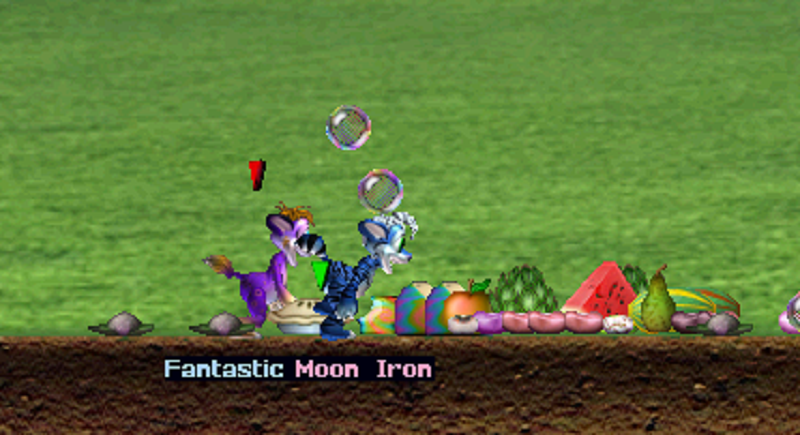 Moon Iron is an experimental breed made in EasyGMS. 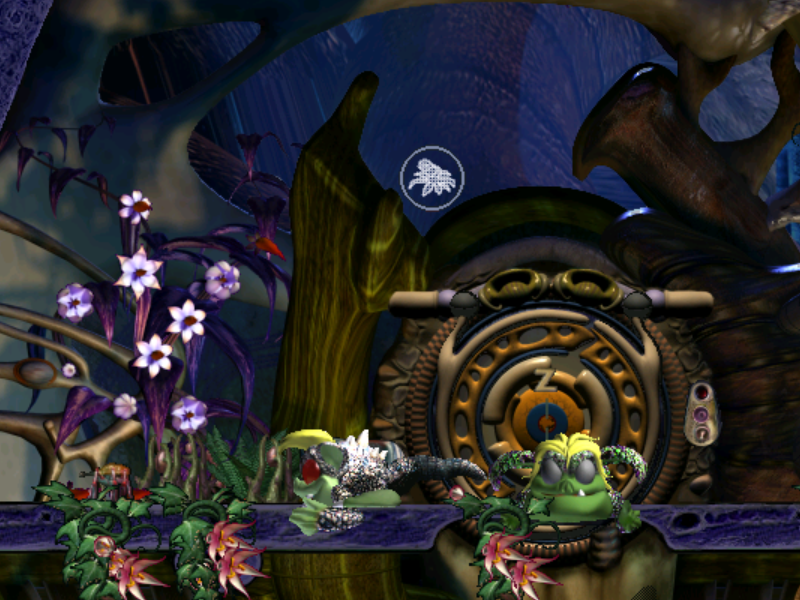 The crop was upscaled to 800 pixels wide, for better viewing experience. Trying to ease myself back into Creatures seems to be working out so far. "Banshee Norns are spirits formed from souls who died a violent dead. in such they're not easy to please. They are angred easily, hit the living without moral concern and play with even the vilest of creatures." So you'd expect when I tried to introduce danger to my beforehand nurturing C3DS world, presence of those could really be a problem to the population, right? They were supposed to be my doomsday devices, to be part of what could significantly decrease the population of other Norns, angry loners that slap the stuffing out of their fluffy cousins until all that remains is a death pop-up! ... I got this instead. The girl is liked by everyone, the guy bonds with people over napping together (the now old and grey-headed Wood Norn hybrid trusts him with babysitting her kid and napping with said child), and about the worst I can say about them is that they get angry easily and treat a slap like a greeting upon which it's all peaceful interaction. They're still fairly young so they might get more agressive with age, and only the girl got into a serious crowd, but I doubt many Norns will feel their wrath. It remains to be seen what happens with Grendels, but still. I presume this is how people felt when they discovered the truth behind C1 and C2 Grendels. I was in a festive mood, though it's a bit early for Xmas stuff, so I decided to try my hand at decorating for Thanksgiving. This is the last zombified survivor of my Ruin Dragon tester run, which crashed and burned after the population was moved up to the surface of the Ruined Expanse, AKA Chione's top level with some stuff added. The survivors were crowding around the Garden Box strawberries, which previously grew on the apple tree pictured. The Dragons were strangely attracted to them, crowding around the tree and feasting on them despite the fact that they actively gained punishment and toxins from it, and the strawberries had to be removed with the CAOS console. It was a disaster, and I noticed that the experimental flying Dragons seemed to be incapable of using the Elevines. She has roughly 11 hours left to live and those are her only two modus operandi, it seems. Like, she's sometimes hungry and very occasionally bored, but most of the time it's one of these two. Out of her 14 eggs, 7 were hatched, making her babies a third of the population. 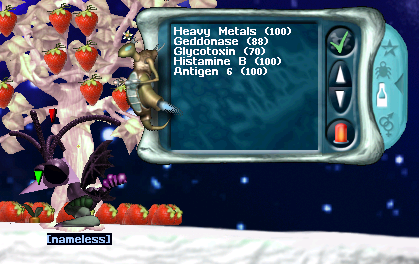 This Ruin Dragon has been eating the strawberries. Another example of how dumb some of them are. They gain punishment from eating what normal creatures eat, but this guy apparently decided to throw a munch.